Kurume Castle (久留米城) is located at a hill on the curving point of Chikugo-gawa river, a large liver flows westward in the northwestern part of Kyushu island. 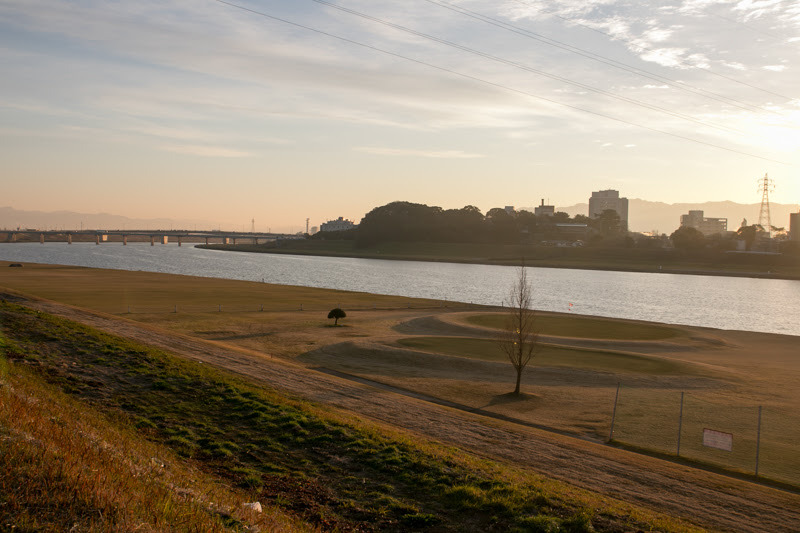 Chikugo-gawa river forms Chikugo plain, a large flat area spreads around south part of current Fukuoka prefecture and Saga prefecture, and Kurume area is at the center of this plain. 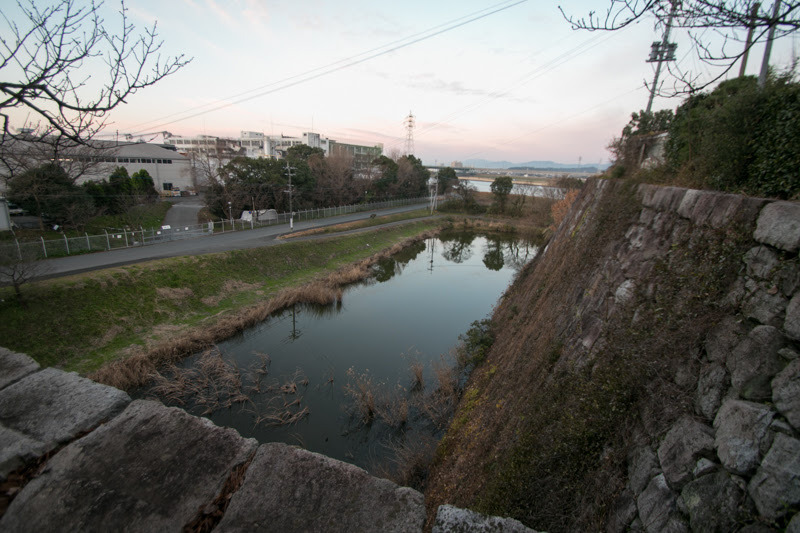 Additionally, Homan-gawa river which is a tributary of Chikugo-gawa river flows from northward is used as a route from Fukuoka area, also merged to Chikugo-gawa river in Kurume city. Because of this geographical condition, Kurume area works as a crossroad in northwestern part of Kyushu island which connects roads from Fukuoka area at northward, Oita area at eastward, Saga area at westward and Kumamoto area at southward. 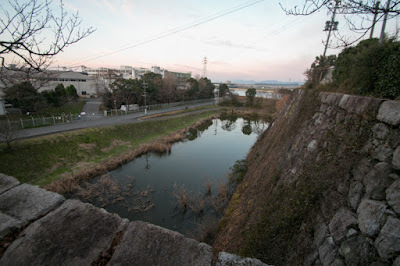 Even now, many important roads and railways separates into each direction near Kurume area. Kurume castle stands at a riverside hill in front of the merging point of Chikugo-gawa river and Homangawa river, and was a vital point of communication at that era. 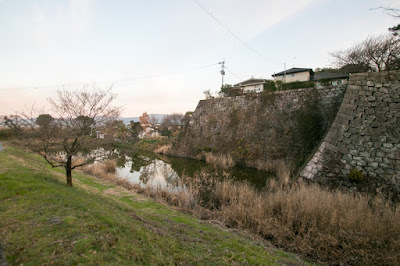 Historically Kurume area had been a center of Chikugo province (south part of Fukuoka prefecture), but in medieval era Chikugo province was divided into many small lords. 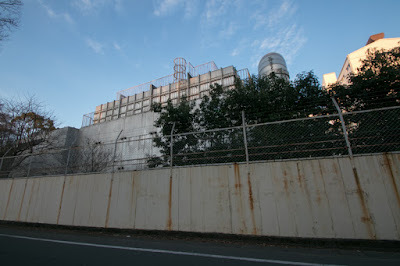 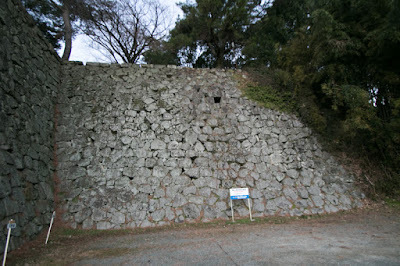 The largest one was Kamachi clan at Yanagawa castle, and Kurume area was a marginal area. 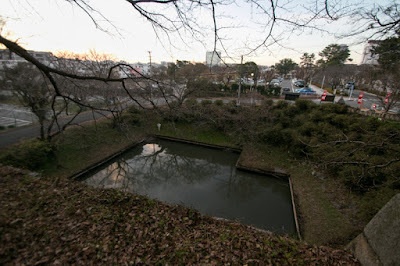 At the beginning of 16th century, local lord built a small castle and this was the origin of Kurume castle. 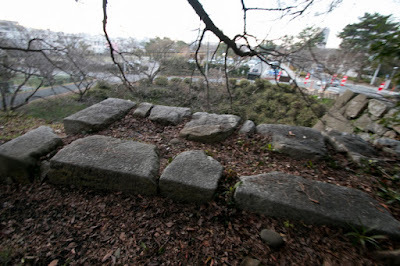 In the middle of 16th century, local lords of Chikugo province followed to Yoshishige Otomo (1530-1587, famous as his Buddhist name Sorin), a strong warlord of Bungo province (Oita prefecture). 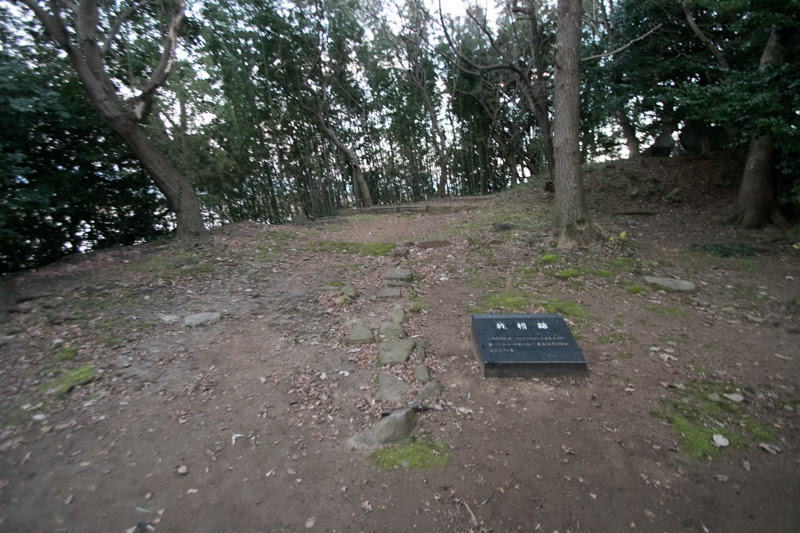 But Takanobu Ryuzoji (1529-1584), a brave warlord of Hizen province (Saga prefecture) feared as “bear of HIzen”, steadily grew his power and left Otomo clan, thus Chikugo province became the border between Otomo clan and Ryuzoji clan. 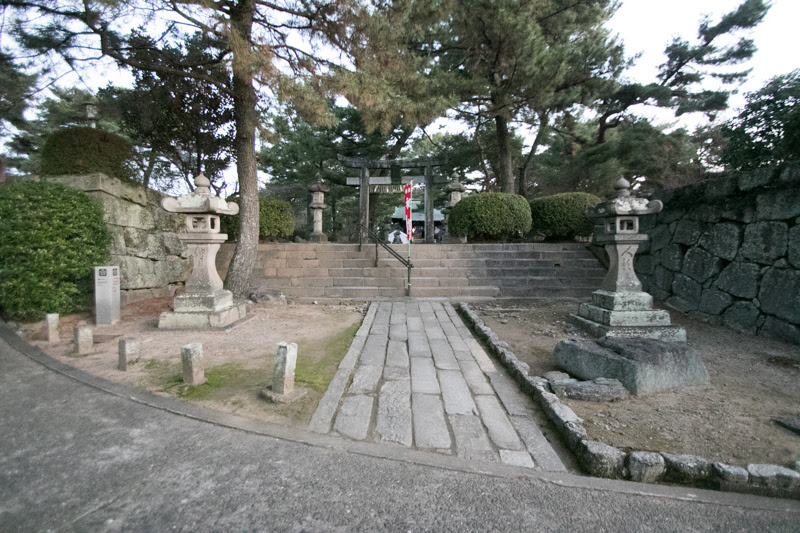 In 1578, Otomo clan suffered fatal defeat at the battle of Mimikawa against Shimazu clan which was the lord of Satsuma province (Kagoshima prefecture), and looking at this opportunity, Takanobu ascended Chikugo province and subdued local lords. 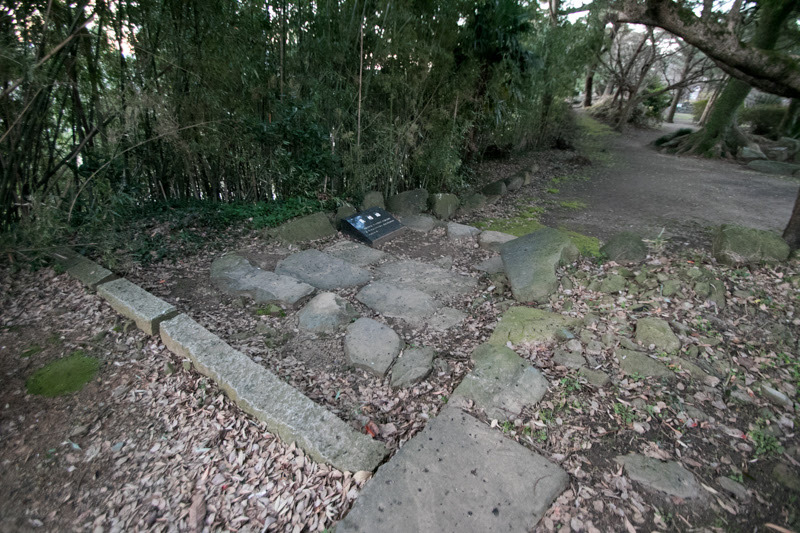 But in 1584, Takanobu fought with alliance of Arima clan and Shimazu army at the battle of Okitanawate at Shimabara peninsula, and even though having dominant army, Takanobu was caught by ambush tactics of Iehisa Shimazu (1547-1587) and died at battle field. 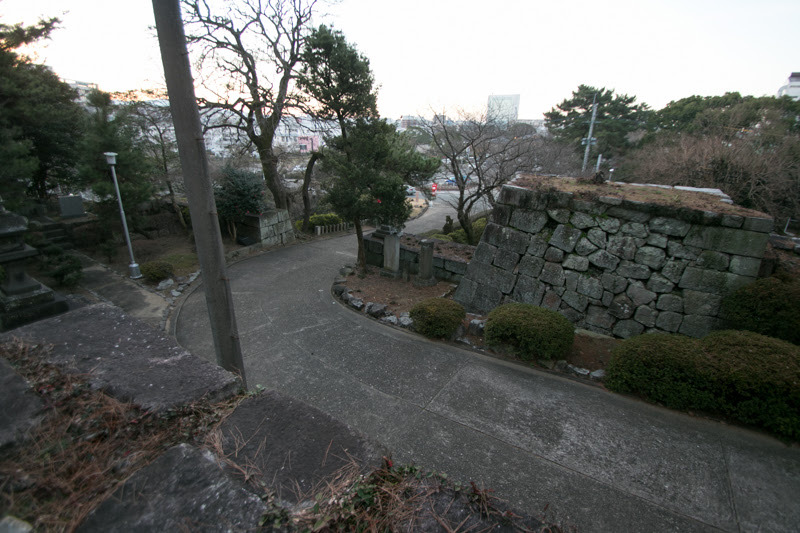 Looking at this situation, Dosetsu Tachibana (1513-1585), a regional commander of Otomo clan who desperately supported falling Otomo clan by his loyalty and braveness, lead his army and marched to recover Chikugo province. 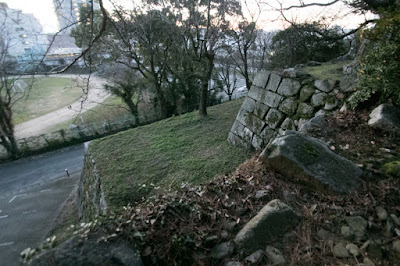 It was said at that time that “it takes three years to fall Yanagawa castle, 3 months for Kumamoto castle (before the expansion), but only one day for Saga castle and Kurume castle), and Dosetsu fell Kurume castle but could not capture Yanagawa castle then died in ill next year. After that Kurume castle might be held by Shimazu clan which captured most part of Kyushu island before Kyushu campaign by central ruler Hideyoshi Toyotomi (1537-1598) in 1587. As a result of this campaign by Hideyoshi, Shimazu clan lost all territory except for Satsuma province and Osumi province (Kagoshima prefecture), and Chikugo province was separated by Muneshige Tachibana (1567-1642), an adopted son of Dosetsu, at Yanagawa castle and Hidekane Mouri (1567-1601) at Kurume castle. 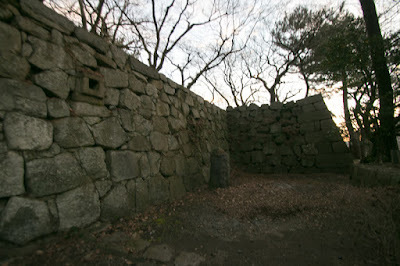 Hidekane was a people of Mouri clan, a strong warlord of Chugoku region which captured whole region under an intelligent lord Motonari Mouri (1497-1571). Hidekane was originally the ninth son of Motonari, and became an adopted son of his elder brother Takakage Kobayakawa (1533-1597) who contributed an expansion of Mouri clan as a both wing along with his brother Motoharu Kikkawa (1530-1586) As Takakage did not have his own son, Hidekane once became his adopted son and planned successor. 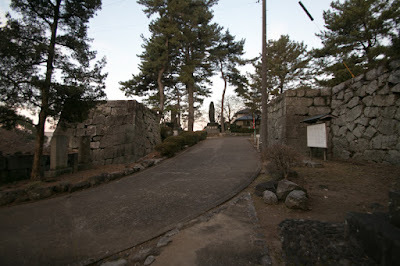 When Mouri clan subordinated to Hideyoshi in 1582, Hidekane was sent to Hideyoshi as an hostage, and Hideyoshi liked Hidekane and used as his general. After Kyushu campaign, Hideyoshi allocated Chikuzen province (north part of Fukuoka prefecture) including important Hakata city to Takakage, and also placed Hidekane next to his father. 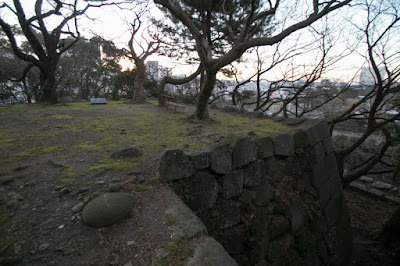 But in 1594, Hidetoshi Kinoshita (1582-1602), a nephew of Hideyoshi's wife, was ordered to be an adopted son of Takakage thus Hideaki was pushed out from the position of successor. 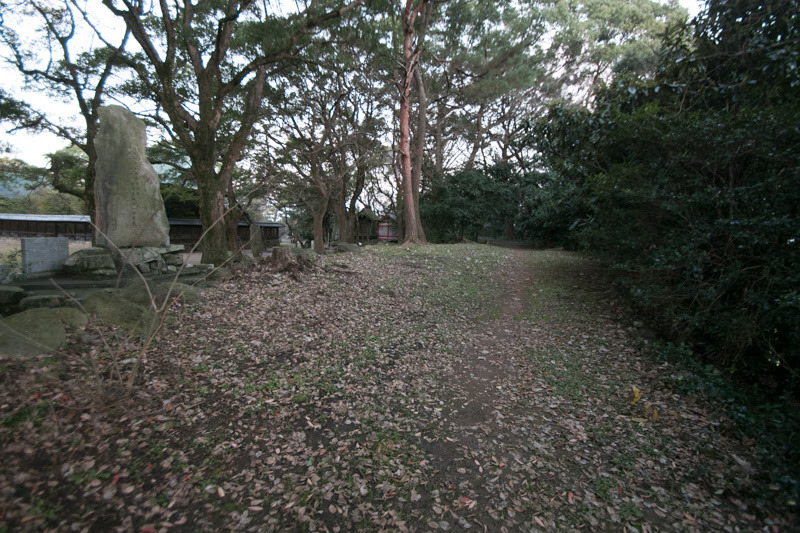 But Hidekane was a brave general and pushed himself by activation. 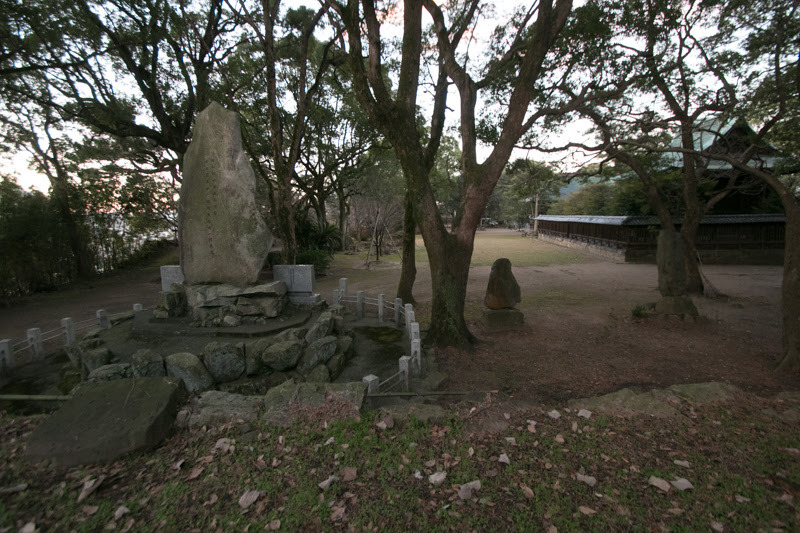 At first Hidekane had only the territory of 10,000 Koku (unit by rice harvest), but as a reward for brave fight at Shikoku campaign in 1585 and Kyushu campaign in 1587, Hidekane got 70,000 Koku at Kurume area. 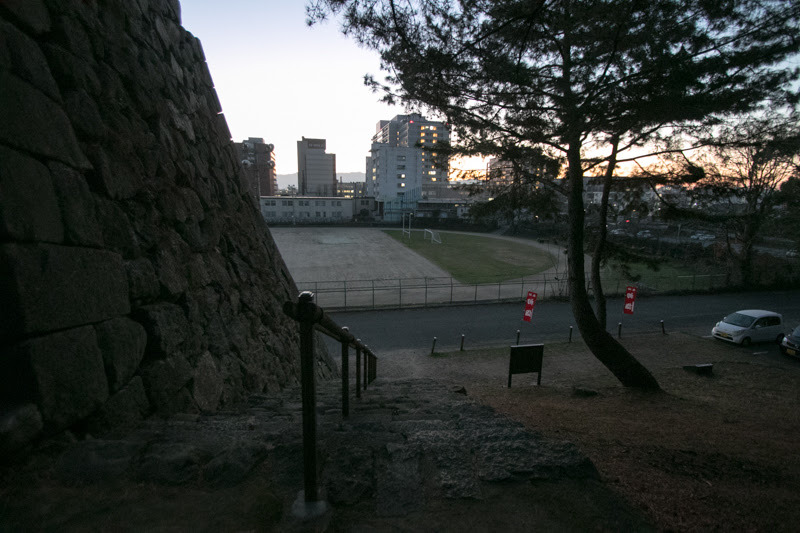 At the time of Kyushu campaign, Hidekane became close with Muneshige Tachibana, who was the former age and also known as his braveness. 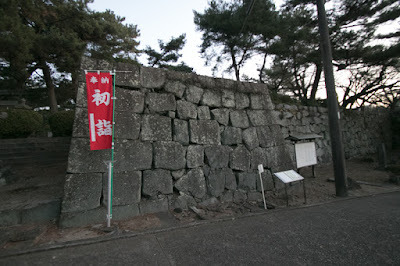 Hidekane fought many battles with Muneshige, and finally got 130,000 Koku at the time of the death of Hideyoshi in 1598. 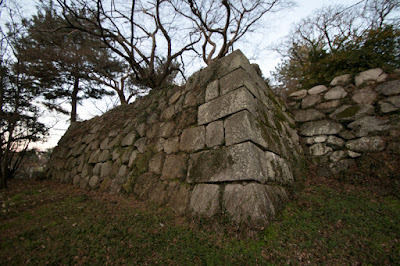 Of course this was being supported by the name of Mouri clan and Hideyoshi's consideration for the lost of successor position, but more than anything this was attributed to his talent. 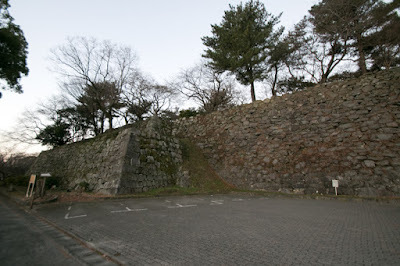 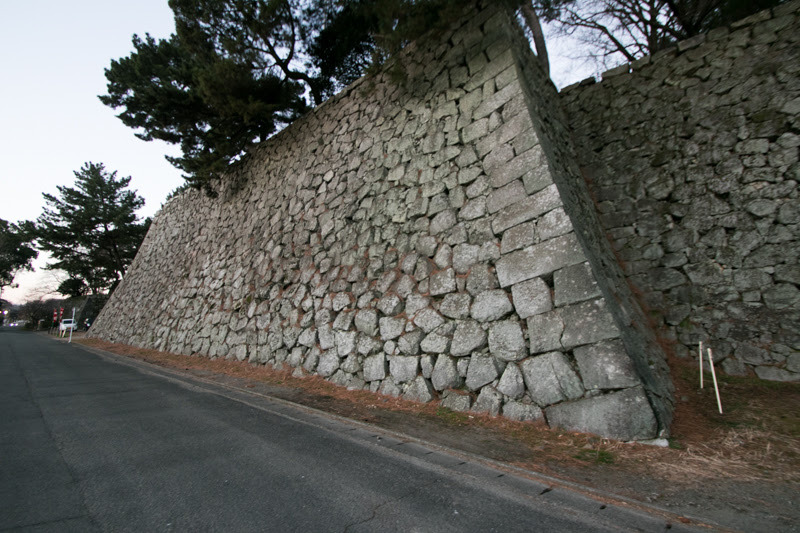 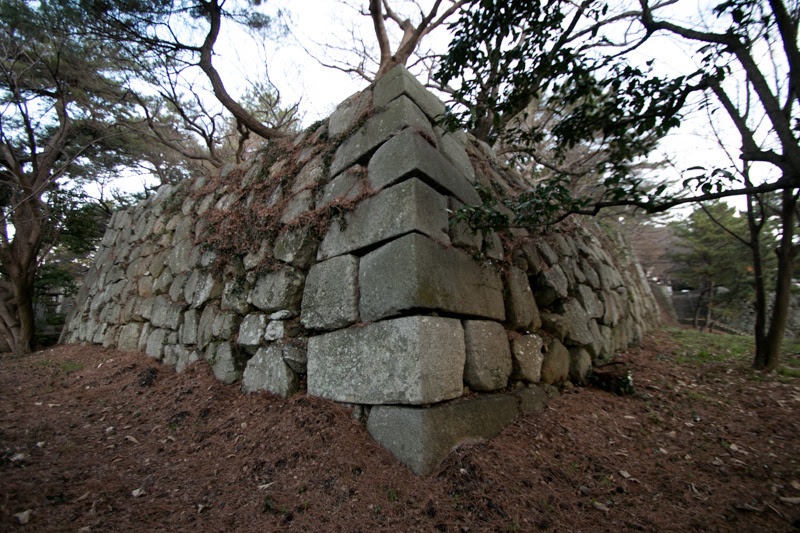 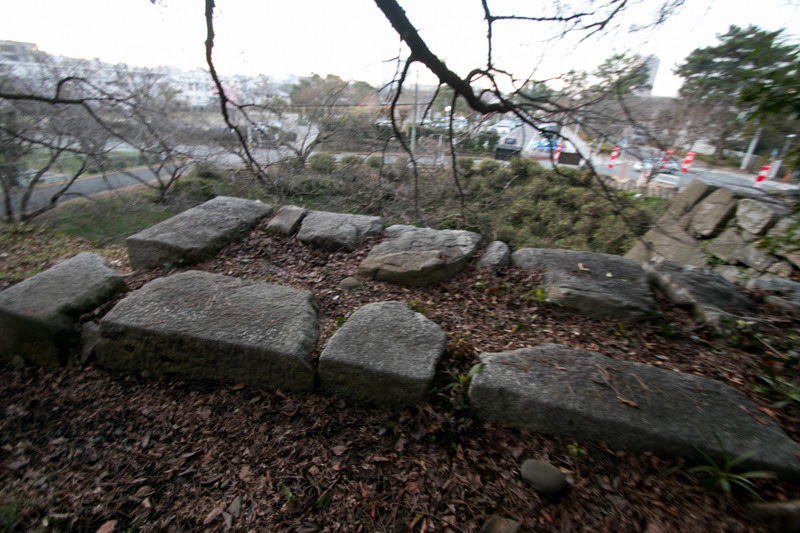 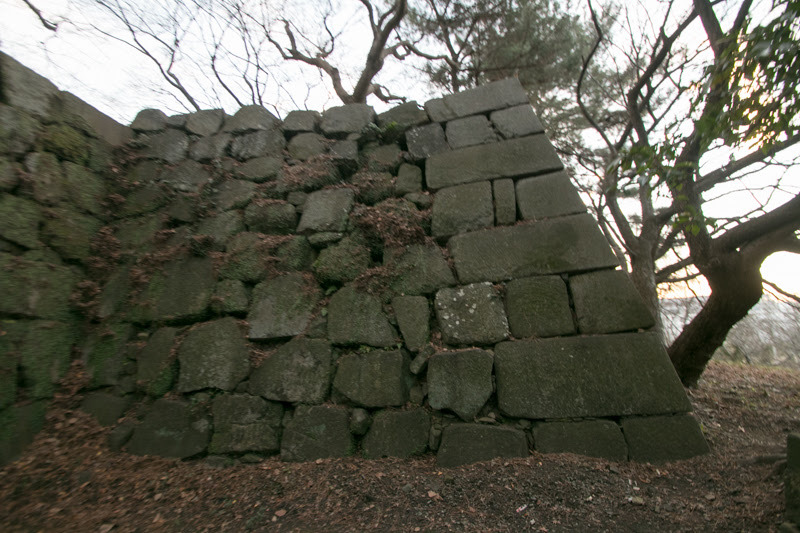 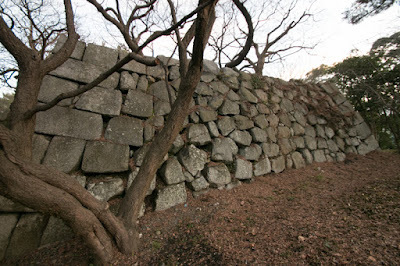 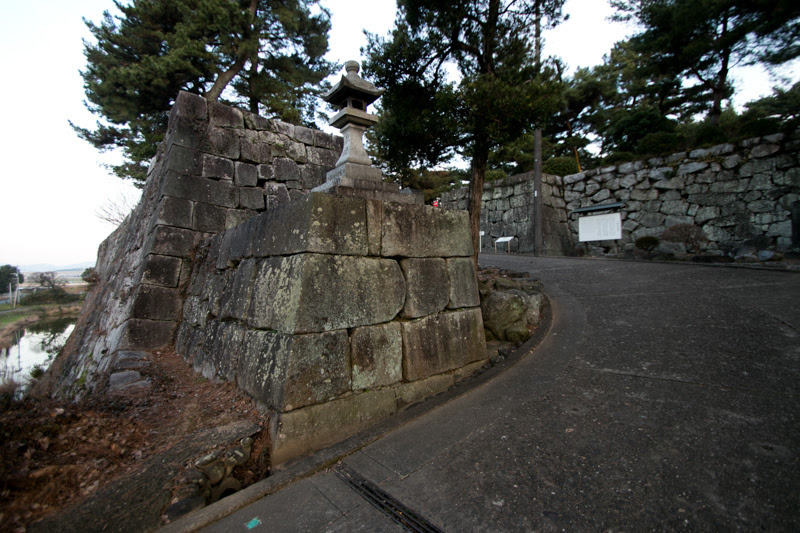 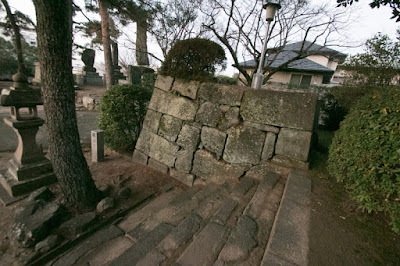 As a large warlord, Hidekane reformed Kurume castle into a modern castle having main tower and stone walls. After the death of Hideyoshi, Ieyasu Tokugawa (1543-1616) and the largest lord under Toyotomi government aimed at next hegemony, then Mitsunari Ishida (1560-1600), the chief administrative staff of Hideyoshi, raised his army to protect Toyotomi clan. 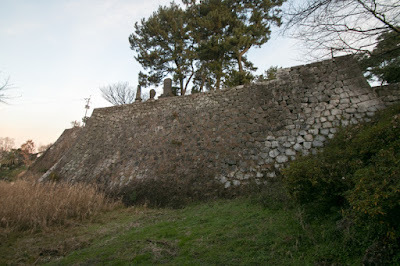 As Hidekane was close to Hideyoshi and Mouri clan at first supported Mitsunari, Hidekane joined Mitsunari side and fell Otsu castle (Shiga prefecture) along with Muneshige Tachibana. But just at that time Mitsunari was defeated by Ieyasu at the decisive battle of Sekigahara, because of substantial betrayal of Mouri main family. 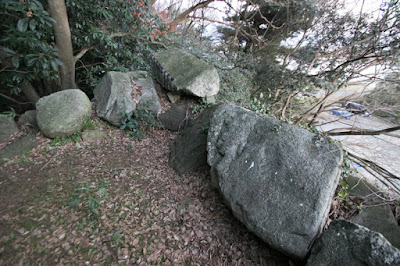 Hidekane lost his territory and became a branch lord of Mouri clan. After Hidekane, Yoshimasa Tanaka (1548-1609) was appointed as a lord of Chikugo province by Edo Shogunate established by Ieyasu. Yoshimasa was originally a local people of Omi province (Shiga prefecture), and was found by Keijyun Miyabe (1528-1599), a retainer of Hideyoshi Toyotomi who was still a general of Nobunaga Oda (1534-1582) at Nagahama castle. 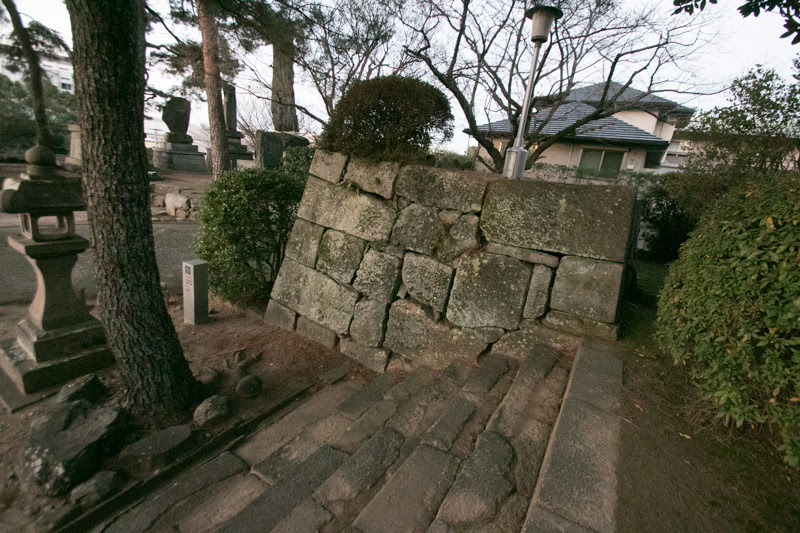 Later Yoshimasa became the first class retainer of Hidetsugu Toyotomi (1568-1595), a nephew of Hideyoshi and his planned successor. Yoshimasa was good at administration and developed Omi Hachiman town (Shiga prefecture) or Okazaki town (Aichi prefecture) under Hidetsugu. 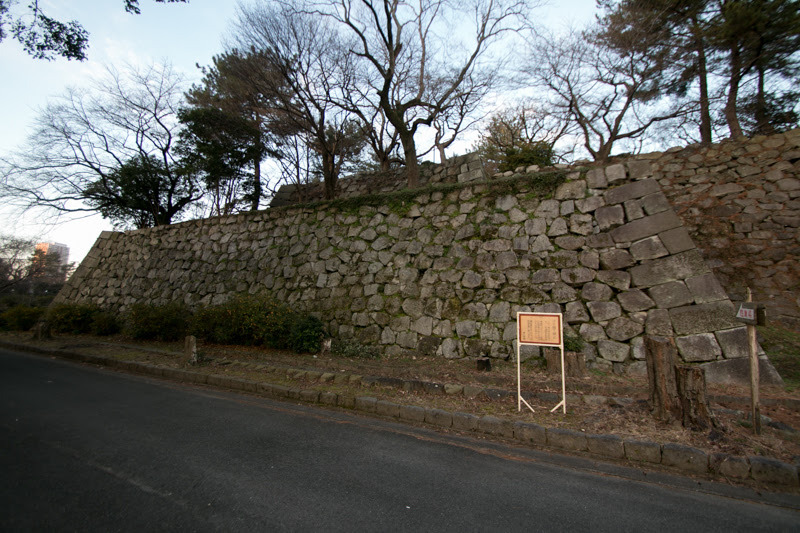 But in 1595, along with the birth of Hideyori Toyotomi (1593-1615), son of Hideyoshi, Hidetsugu became useless and was purged. 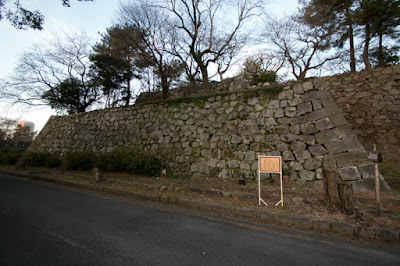 Many relatives and retainers of Hidetsugu were involved and killed, but Yoshimasa survived without punishment and became the lord of Okazaki castle (Aichi prefecture). 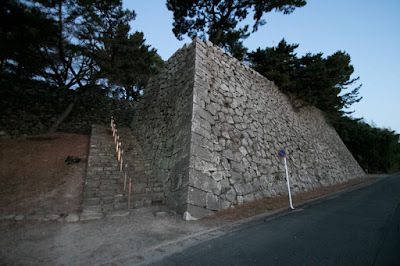 Yoshimasa reformed Okazaki castle into a modern one and built main tower. Just after the battle of Sekigahara, Yoshimasa arrested Mitsunari Ishida who hided himself and stayed near his base Sawayama castle. 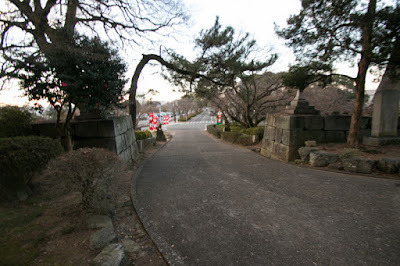 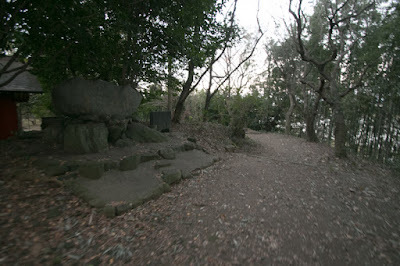 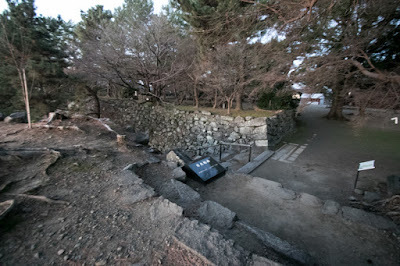 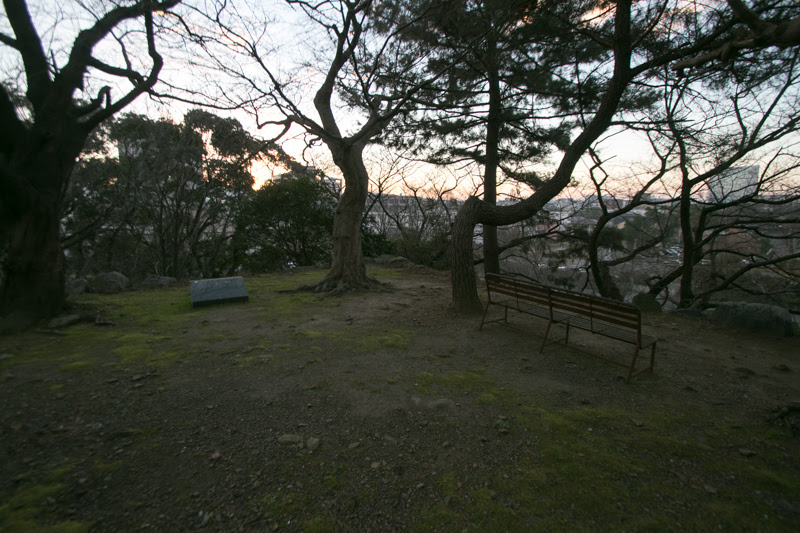 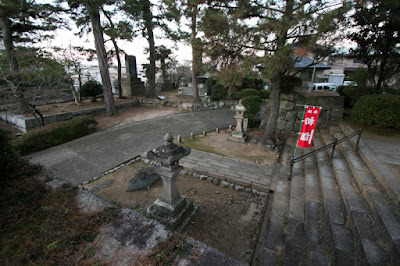 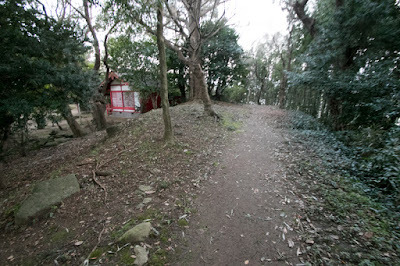 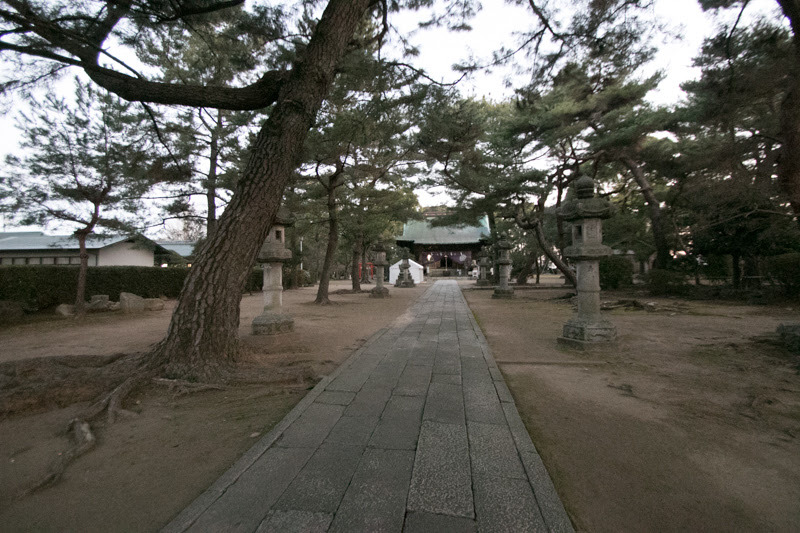 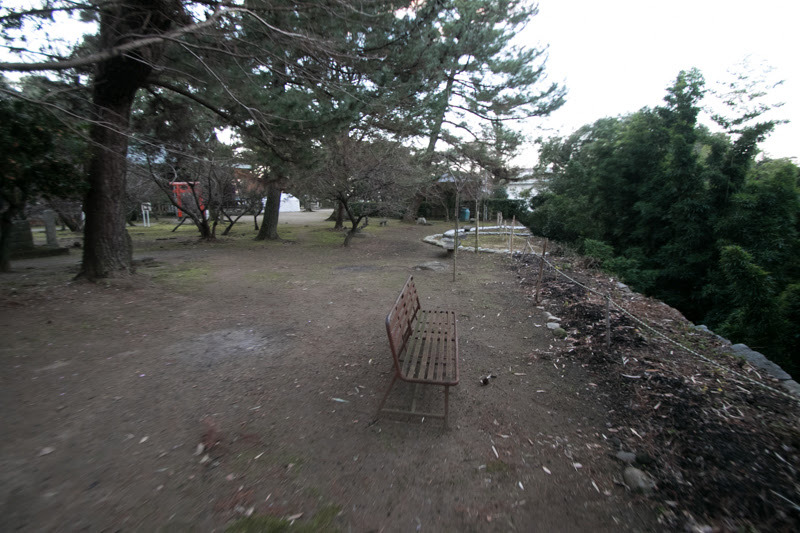 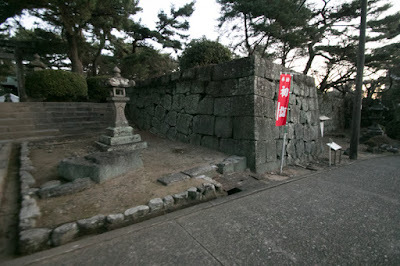 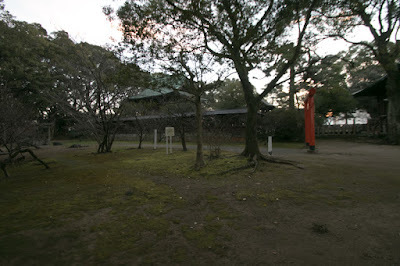 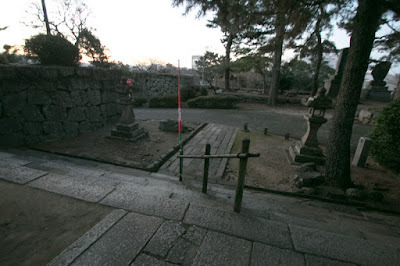 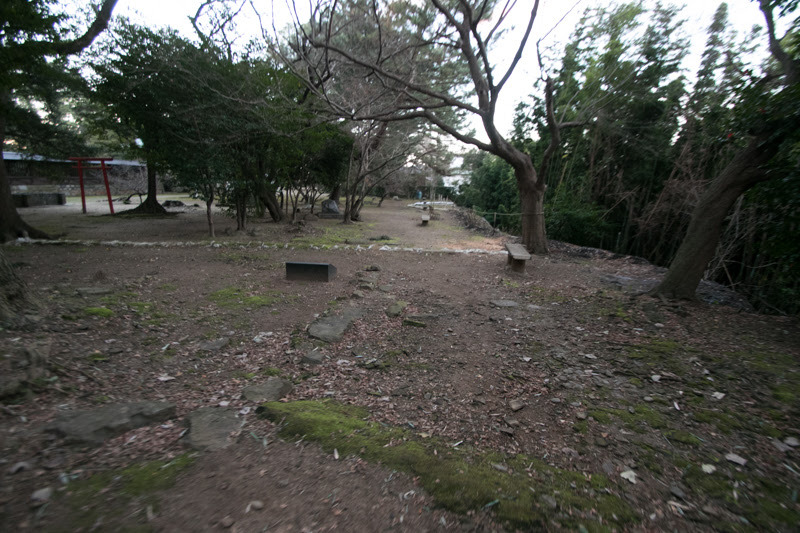 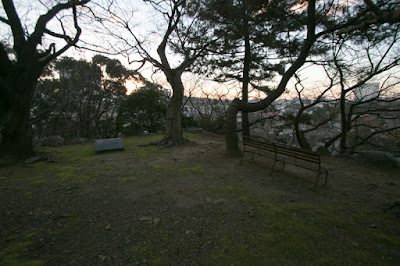 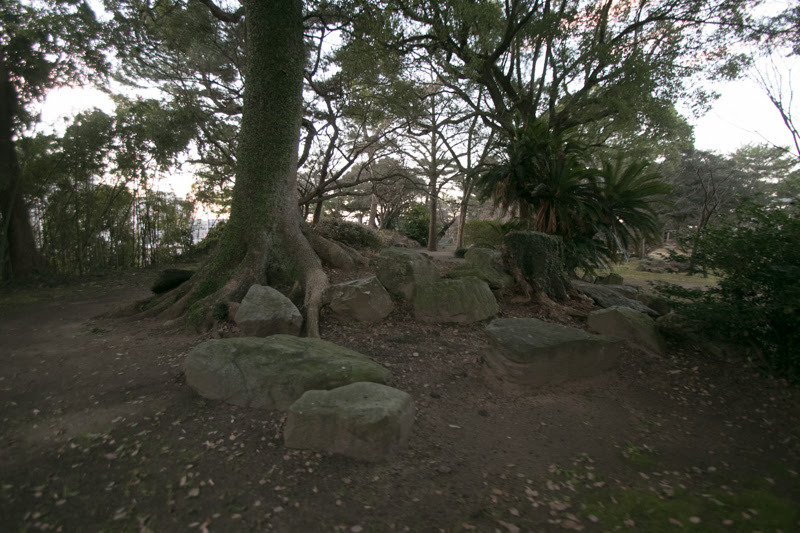 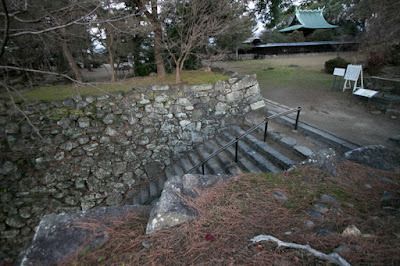 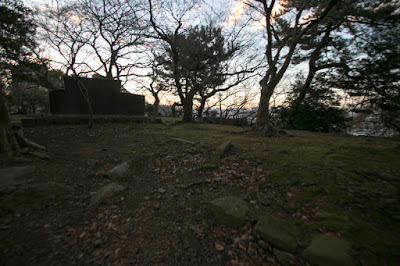 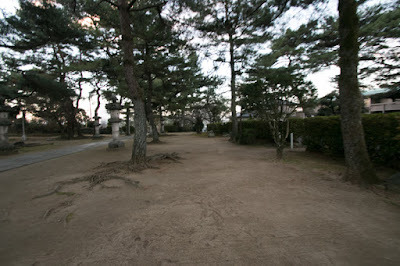 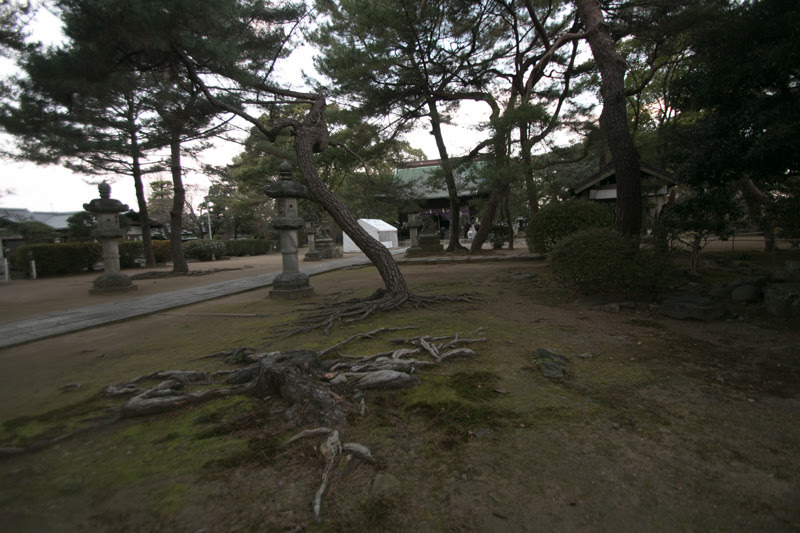 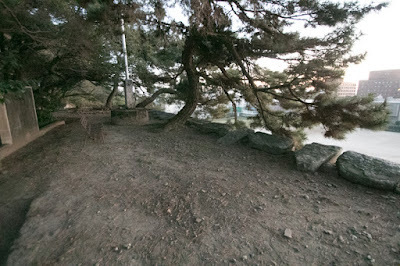 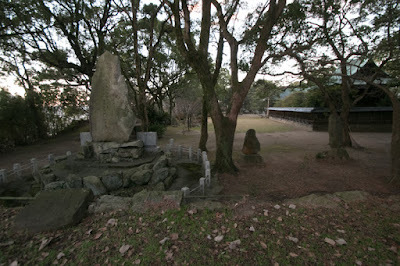 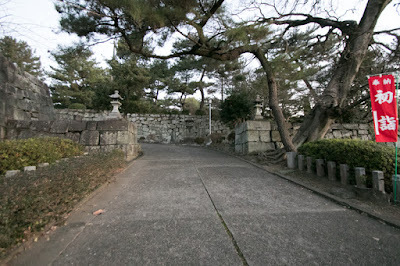 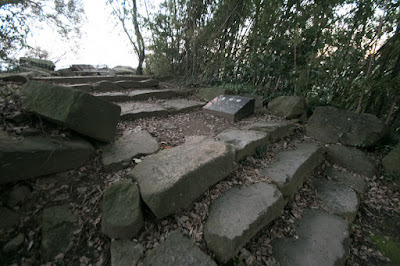 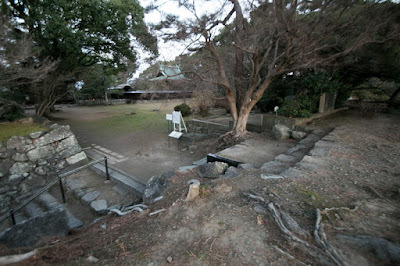 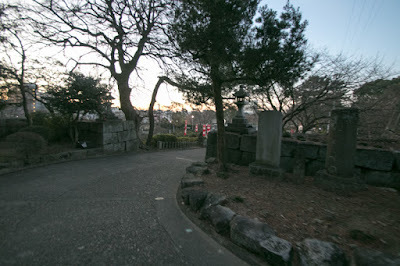 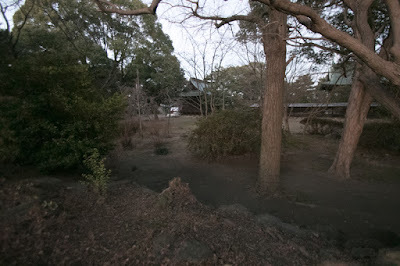 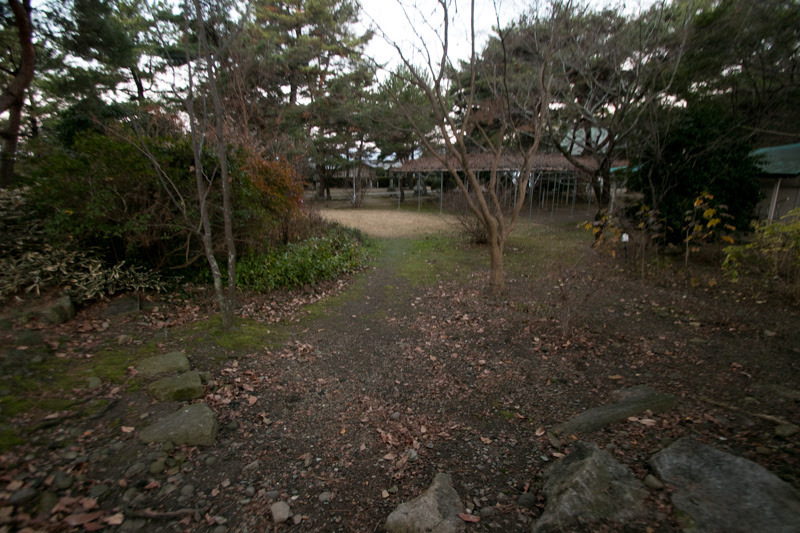 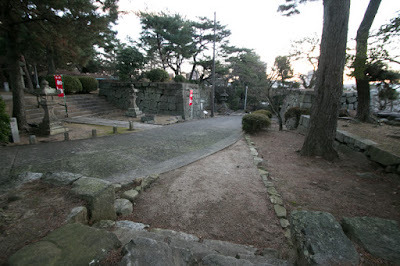 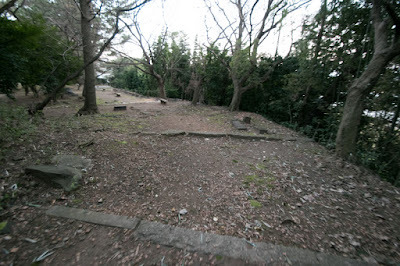 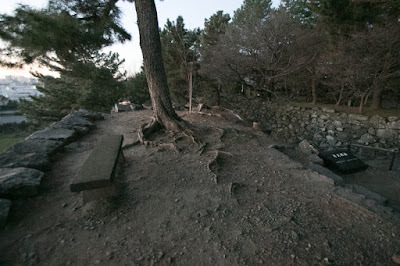 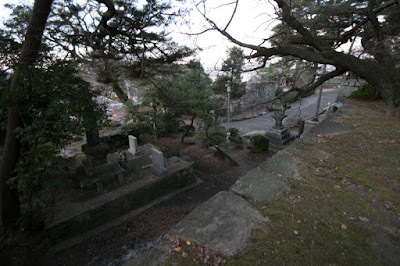 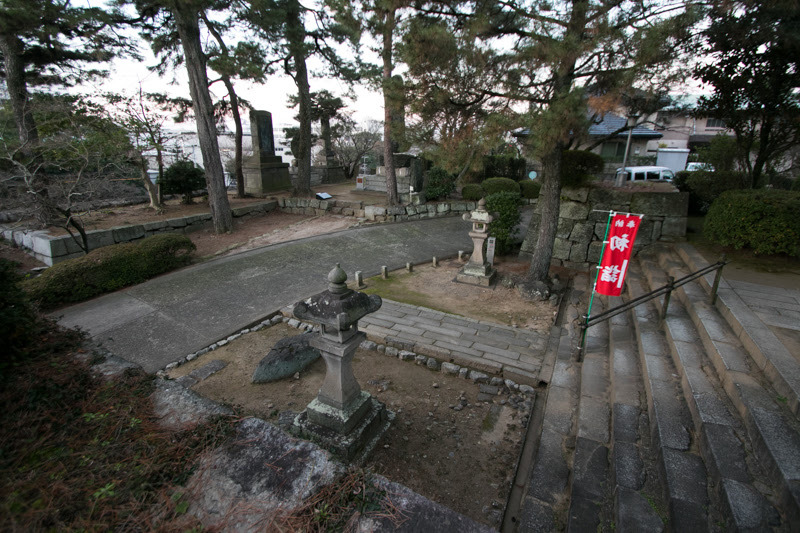 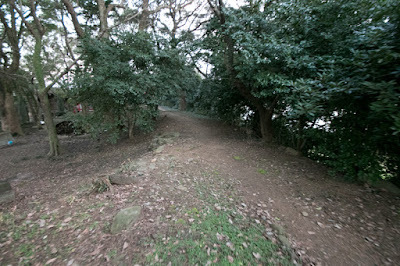 This area was a birthplace of Yoshimasa and he was familiar to hiding place and secret way around this area. As a reward Yoshimasa became a big feudal lord having whole Chikugo province, but this was also a plan of Edo Shogunate to grasp Okazaki castle as a birthplace of Ieyasu Tokugawa and an important place of communication at Tokaido road. Yoshimasa used Yanagawa castle as his main base, and used Kurume castle as a branch castle. Tanaka clan held Chikugo province including Kurume castle by 1620, but lost it because of no successor. 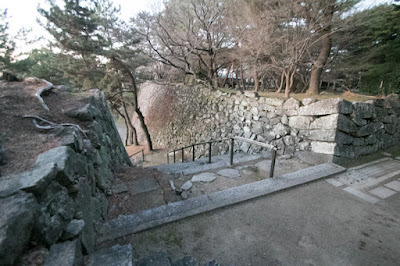 After Tanaka clan, Chikugo province was divided into Yanagawa domain and Kurume domain again and Muneshige Tachibana returned to his former territory Yanagawa castle. On the other hand, Toyouji Arima (1569-1642) who was the lord of Fukuchiyama castle (Kyoto prefecture) moved to Kurume castle with larger territory. Arima clan was originally a branch family of Akamatsu clan, a high class retainer of Muromachi Shogunate which held large territory around current Hyogo prefecture. 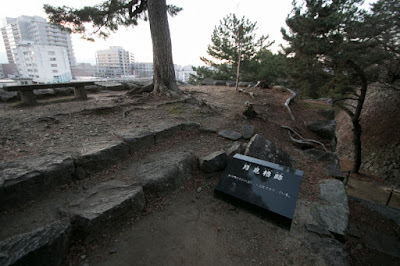 But Akamatsu clan lost their power because of continuous internal conflicts, and Arima clan also became a small lord which held Arima area at the north part of current Kobe city where is famous for Arima spa. 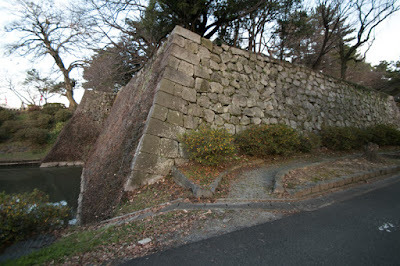 In 1567, Hideyoshi Toyotomi who still was a commander under Nobunaga Oda was appointed as a regional commander of Chugoku region and entered into Harima province (Hyogo prefecture). At this time Noriyori Arima (1533-1602), father of Toyouji, supported Hideyoshi and activated at many battles, then Noriyori and Toyouji became a lord under Toyotomi government. Even though a small lord, as a descendant of distinguished family Noriyori had a knowledge of culture and courtesy, thus was frequently consulted from Hideyoshi. 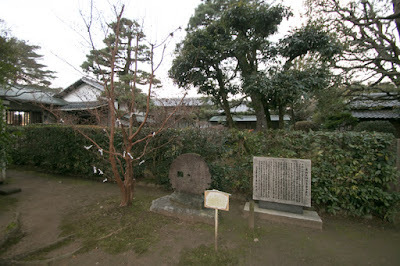 Toyouji at first was a retainer of Shigeaki Watarase (1555-1595), an important retainer of Hidetsugu Hashiba. 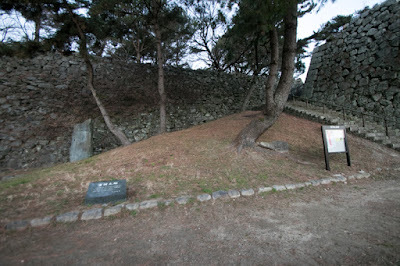 But Shigeaki was forced to die at the purge of Hidetsugu in 1595, and Toyouji succeeded the territory of Shigeaki and became the lord of Yokosuka castle (Shizuoka prefecture). After the death of Hideyoshi in 1598, Noriyori and Toyouji approached to Ieyasu Tokugawa and Toyouji married with an adopted daughter of Ieyasu. 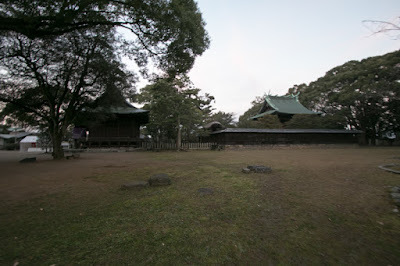 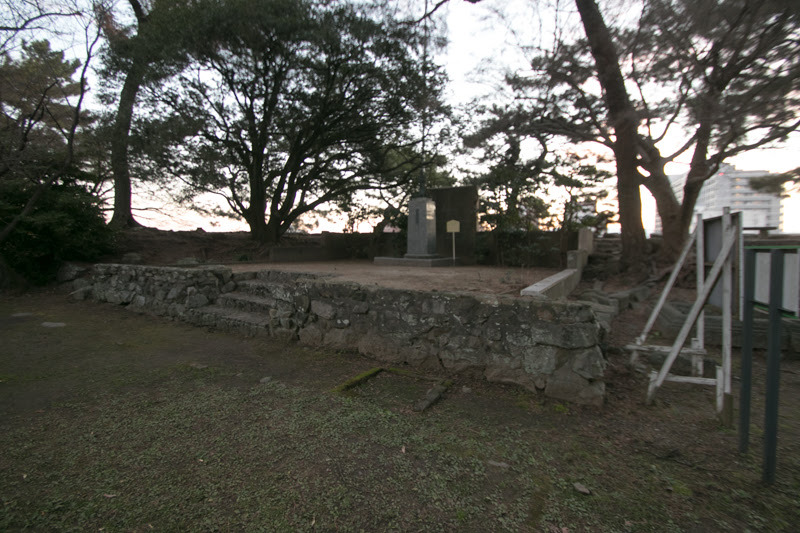 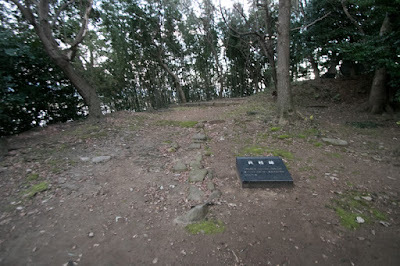 After the battle of Sekigahara, Toyouji was appointed as a lord of Fukuchiyama castle (Kyoto prefecture), an important place at the northwestern entrance into Kinki region from Sanin region. 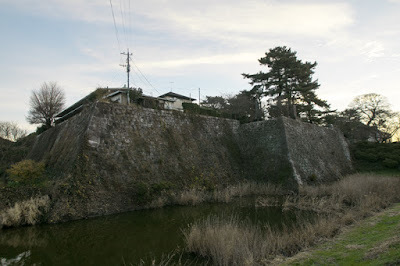 Toyouji renovated Fukuchiyama castle into a modern one and developed Fukuchiyama town. 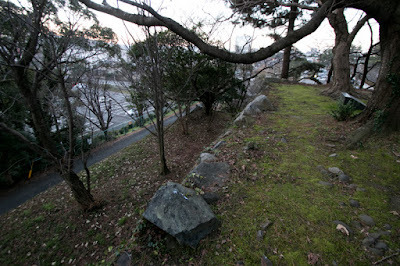 Toyouji also activated at the battle of Osaka castle against Hideyori Toyotomi in 1614 and 1615. In 1620, after the extinction of Tanaka clan, utilizing this vacancy Edo Shogunate appointed Toyouji as a lord of Kurume castle with 210,000 Koku. 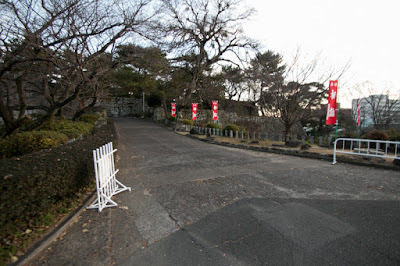 This was the 20th position among all lords of Japan, and considering Toyouji was neither having significant achievement and nor hereditary retainer of Tokugawa clan, it was an extraordinary promotion. 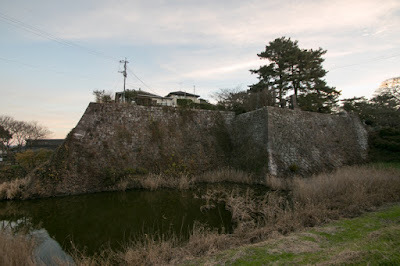 Same as Fukuchiyama, Kurume castle is an important place at the center of communication in Kyushu island, and this shows how Toyouji was trusted by Edo Shogunate. 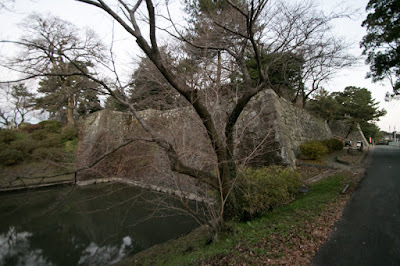 Toyouji became a large feudal lord significantly expanded Kurume castle as his residence. Kurume castle is roughly a right triangle shape and its diagonal line faces Chikugogawa river. 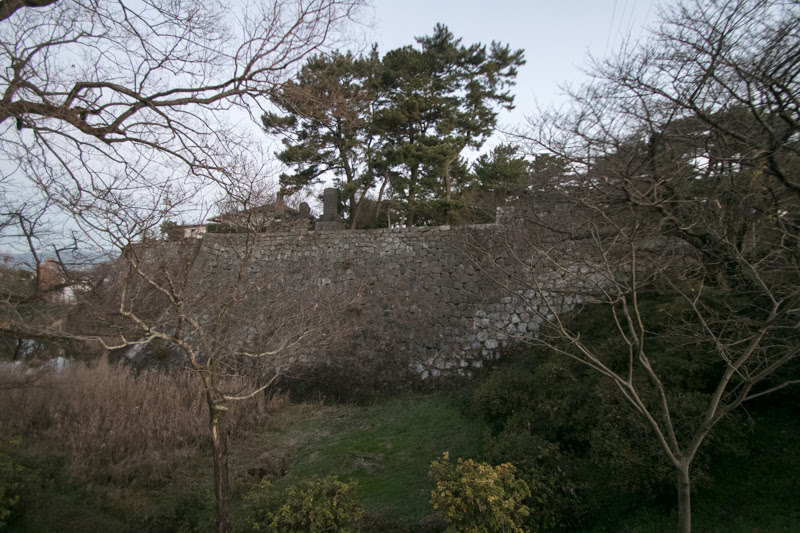 Along the river, central area, secondary area and third area continues in line from north to south, and outer barrier protected east and south line of the castle area. 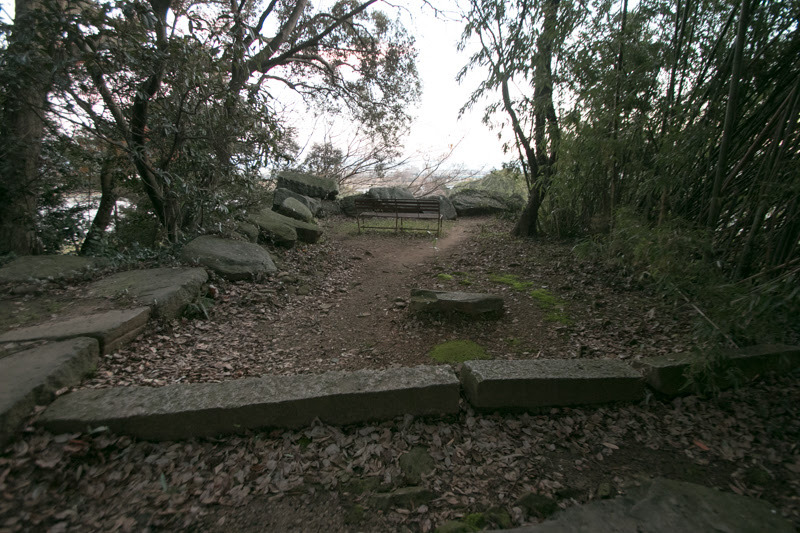 Central area is a rectangular shaped hill of 150 meter long and 100 meter wide. 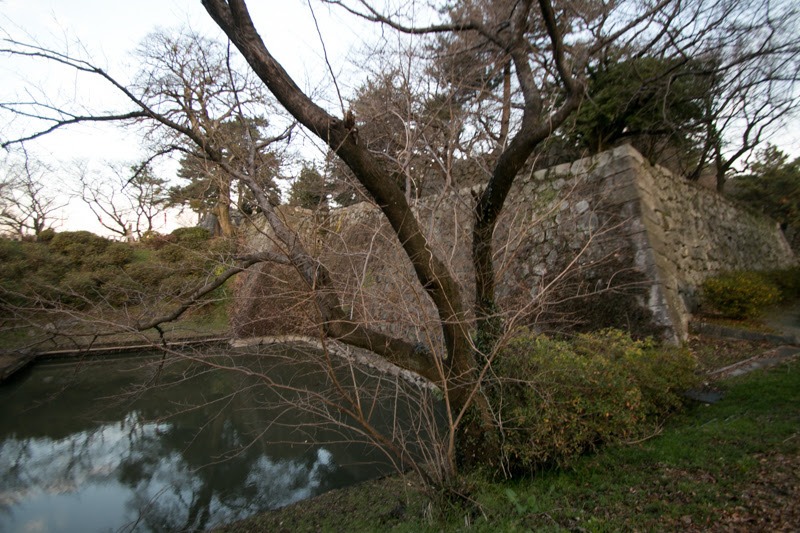 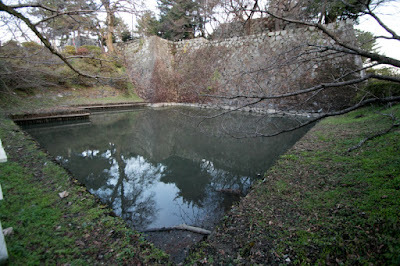 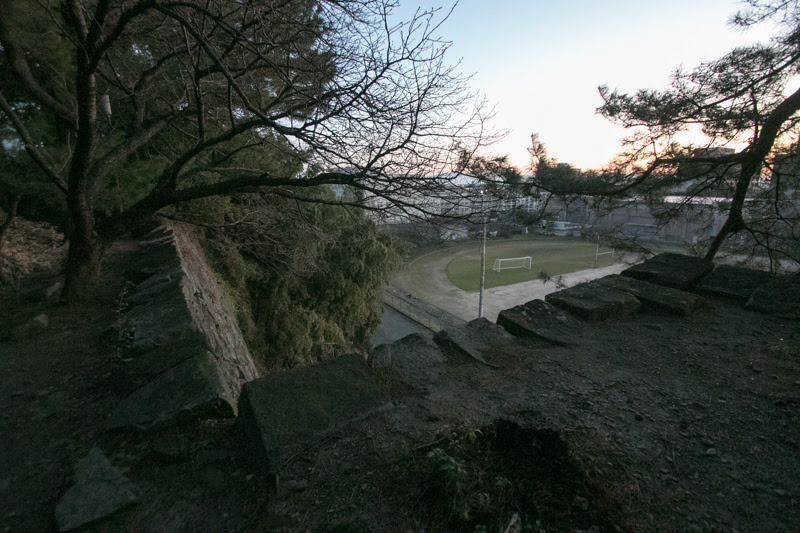 Whole side of the area is guarded by water moat, and also by tall stone walls over 15 meter height. Even though there was no main tower at this castle, but there were seven three-story turrets at each corner and at the middle of eastern, southern and western line. 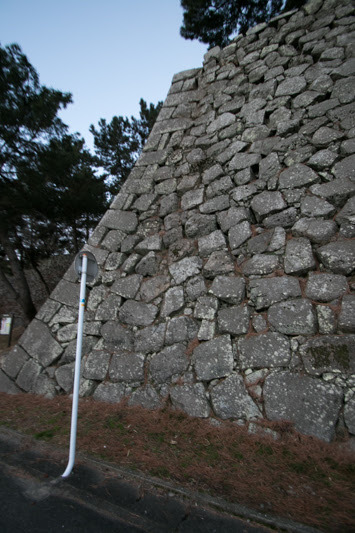 Especially southeastern corner turret which faced castle town was a larger one and was a substitute of main tower. 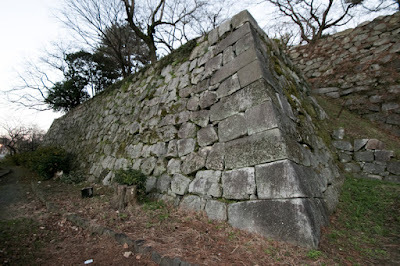 Seven three-story turrets stands like a grove being connected by corridor turrets over beautifully curved tall stone walls might looked powerful. 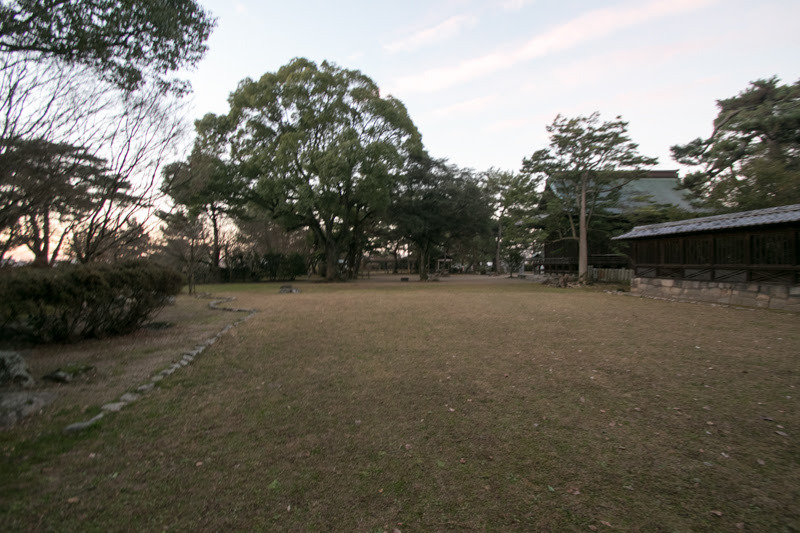 Secondary area is also a rectangular area of 100 meter long and 200 meter wide, and the residence of the lord was built at here. Third area was a rectangular area of 100 meter wide and 150 meter wide used for storage and residence of high class retainer. 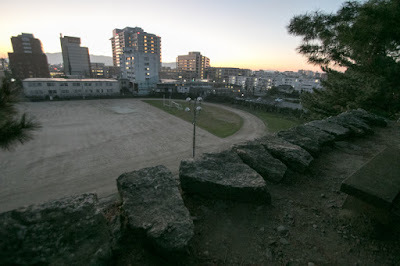 Outer area surrounded eastern and southern side of these core area like a boots shape, and total size of the castle reached 800 meter long and 600 meter wide. Arima clan suffered fiscal problem but focused on the development of territory and continued as a lord of Kurume domain. 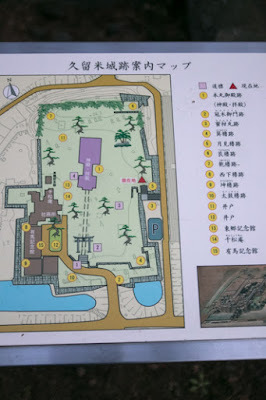 Subsequent to Meiji revolution, all building was lost and secondary area, third area and outer area were lost. 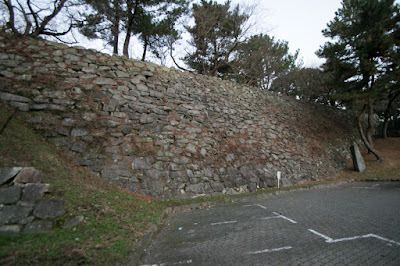 Later secondary area and third area became the ground of first large factory of Bridgestone, the largest automotive tire manufacturer in the world, and supported the early stage of the company. 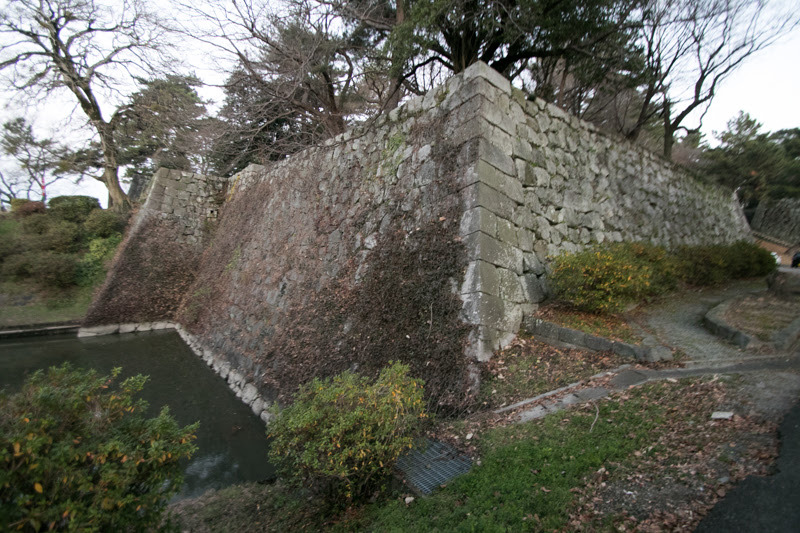 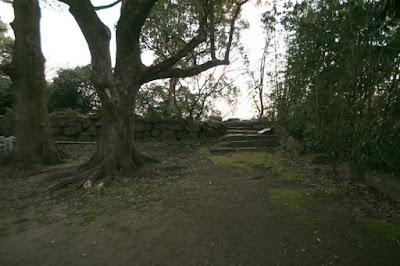 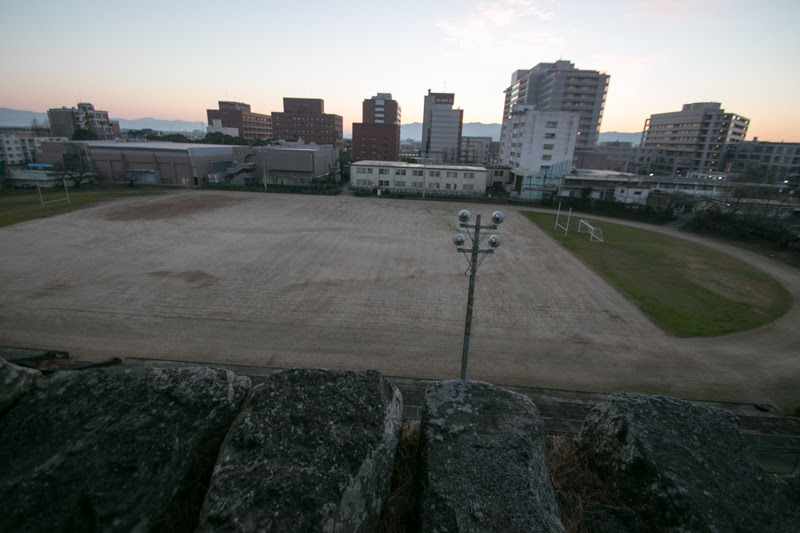 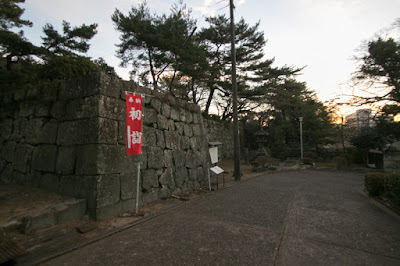 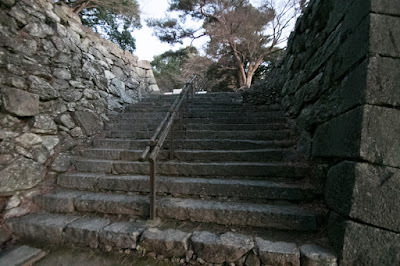 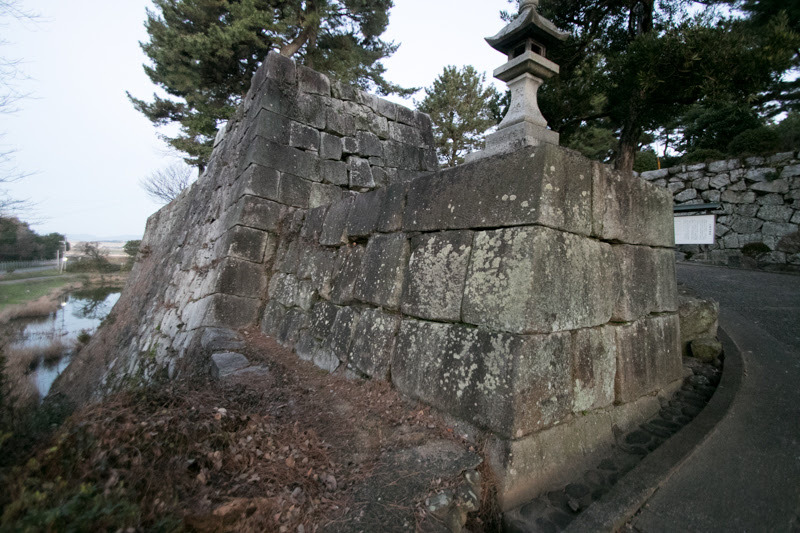 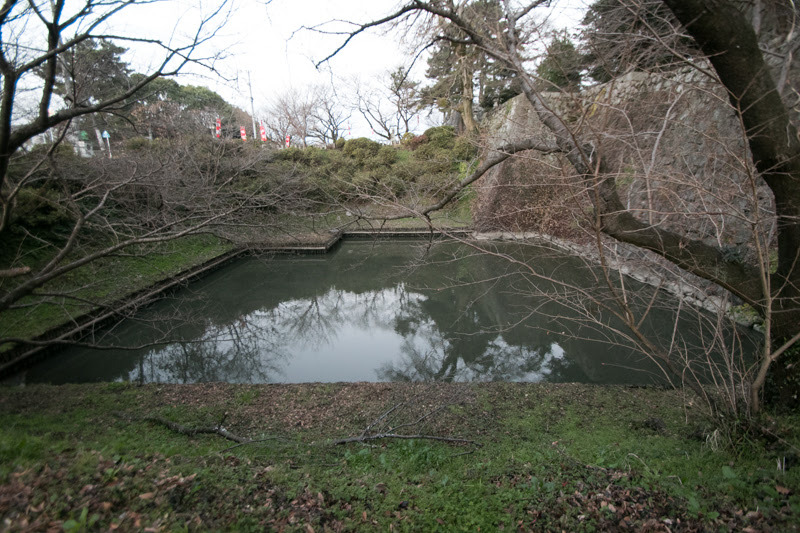 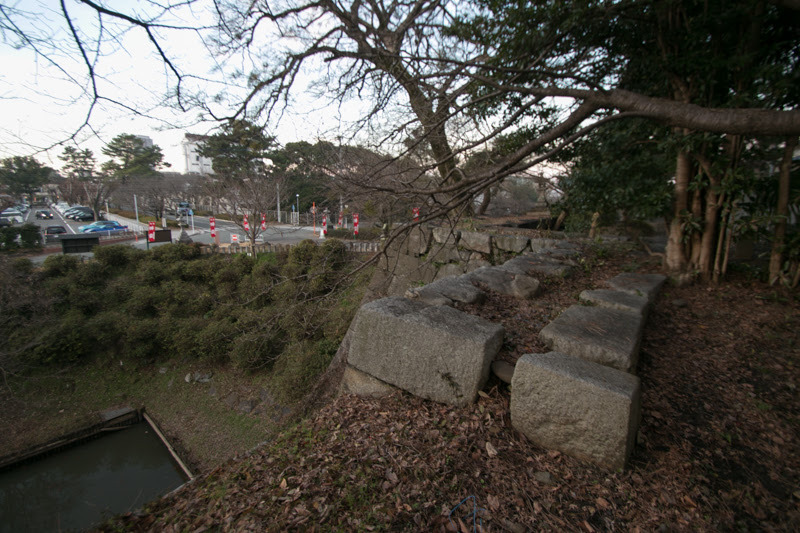 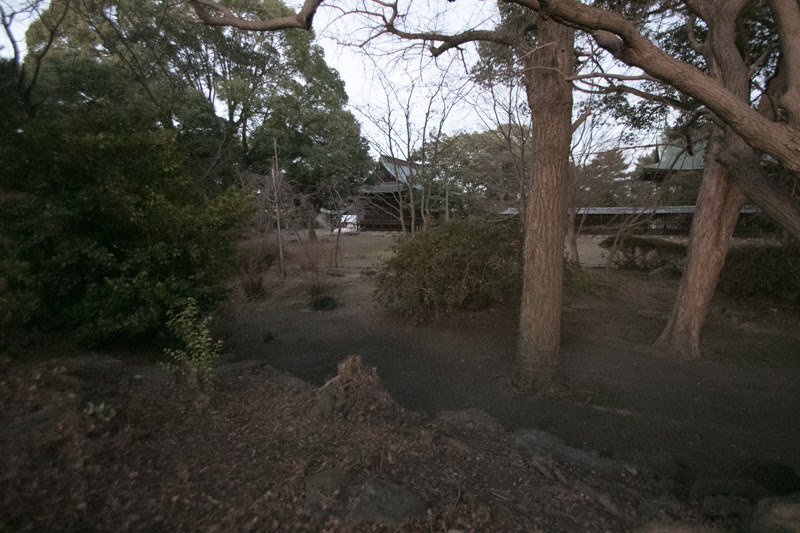 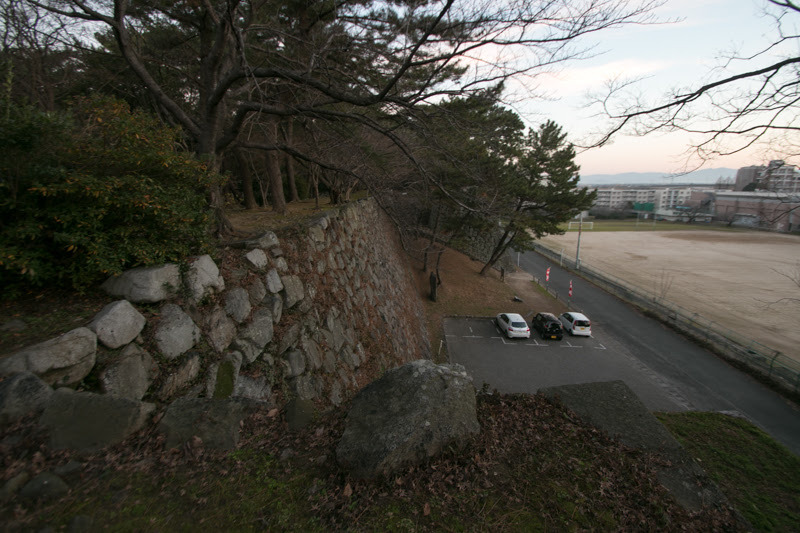 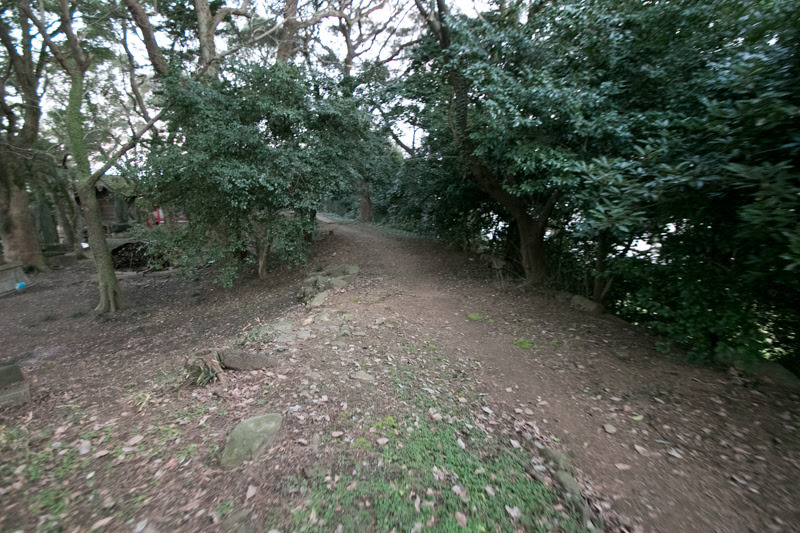 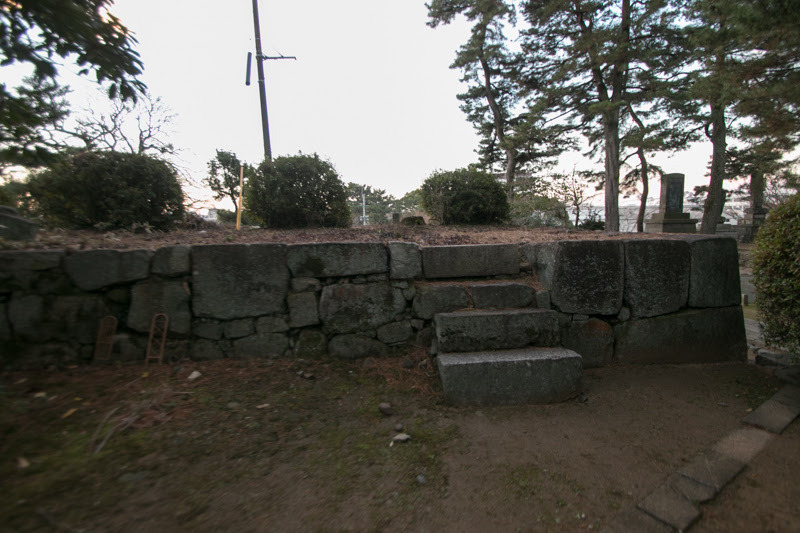 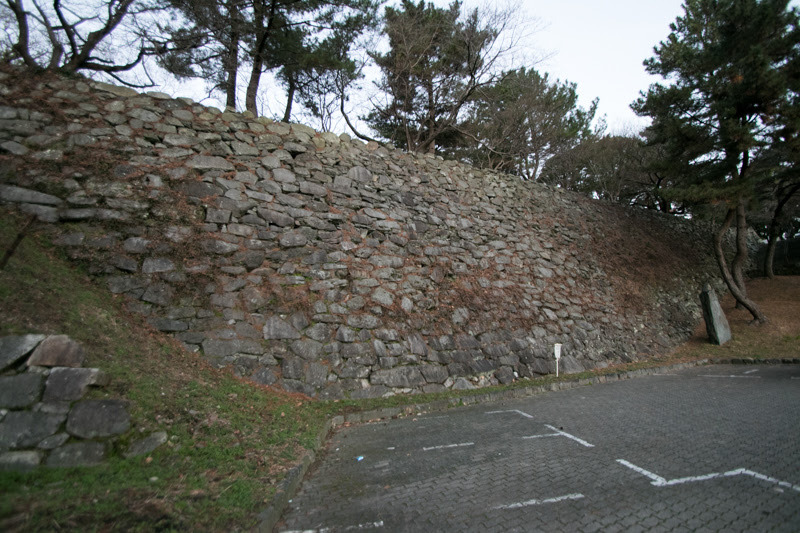 Now major part of tall stone walls of central area and front side water moat remains, and central area is used for a ground of shrine and museum of Arima clan. 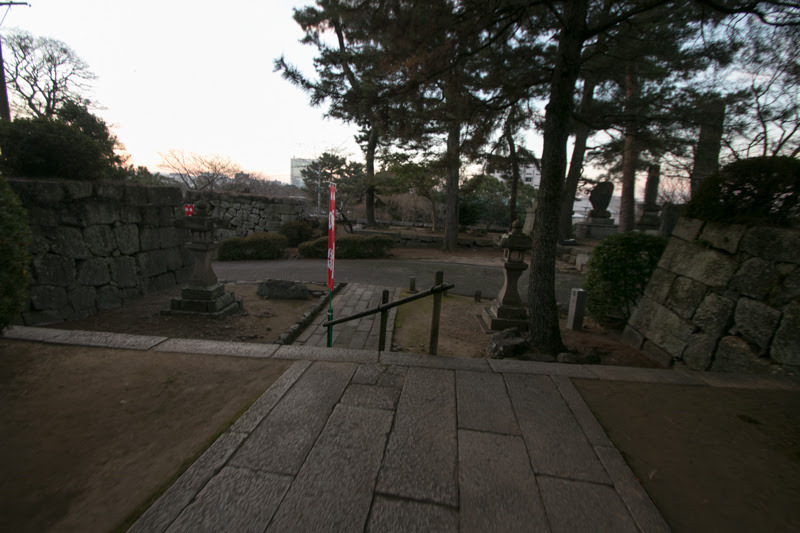 One castle gate is transferred at a temple about 10 kilometer apart from castle site. In the spring castle site is decorated with cherry blossoms, and it might be good to visit this castle to pray for promotion sharing good luck of past holders. 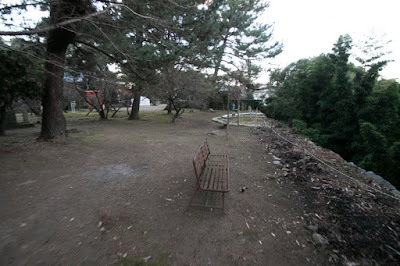 15 minutes walk from JR West Kyushu Shinkansen line or Kagoshima Honsen line Kurume station. 10 minutes drive from Kyushu Jidoshado Expressway Kurume interchange.